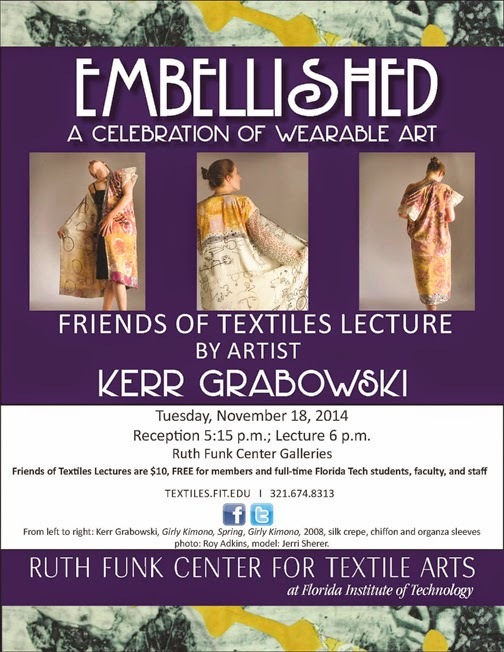 Kerr Grabowski's history as a fiber artist has been marked by her constant experimentation with and innovative approaches to dyeing and screening processes. She developed Deconstructed Screen Printing, a printing monoprinting technique allowing for a freer, more painterly approach to screen printing. Formerly Artist in Residence at Peters Valley Craft Center in NJ, Kerr now maintains a studio in Bay Saint Louis, Mississippi. 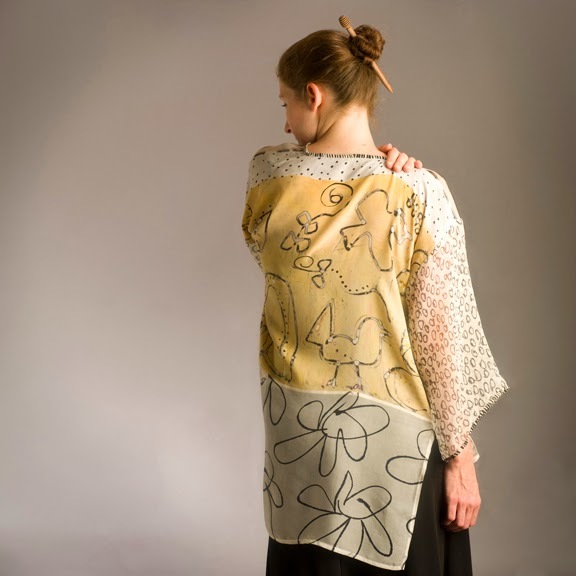 Recipient of a Mississippi Arts Commission Fellowship and a New Jersey Council on the Arts Fellowship, Kerr is published in Ornament, Surface Design Journal, Fiber Arts Design Book Six, Silk Painting for Fashion and Fine Art and Textiles Now. Kerr Grabowski, Kimono, 2008. Silk crepe, chiffon and organza sleeves. Photo by Roy Adkins.